The Welsh Assembly Government has made a committment to provide a free healthy breakfast at school each day for all children of primary school age registered in maintained primary schools in Wales This initiative is intended to help improve the health and concentration of children to assist in the raising of standards of learning and attainment. What time do the sessions operate ? · The breakfast club opens at 8 a.m.
· Pupils need to arrive at breakfast club between 8.00 a.m. and 8.20 a.m.
· Children will be supervised by breakfast club staff until the start of school day at 8.55a.m. What breakfast will be on offer ? · The breakfast on offer will be healthy and nutritious. - toast, fruit juice and yoghurt. Who will supervise the breakfast sessions ? · The sessions are run by the school cook, Mrs. Williams, aided by two assistants. · All staff have been cleared by the Criminal Records Bureau. How will the children spend their time? 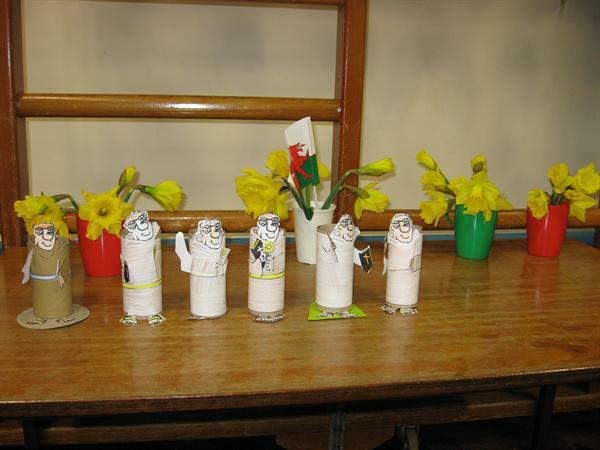 · After eating breakfast the children will be involved in structured activities, which may include working on craft activities, preparing for special events such as Chinese New Year, St. David’s Day, playing board games, learning traditional playground games etc. · Ysgol Y Faenol Breakfast Club won the Kellogs/ContinYou UK Breakfast Club Award 2009 in the Extra Learning Category and have been voted Breakfast Club of the Month and we have been voted as one of the Favourite breakfast clubs on the Kelloggs website. How much will the breakfast session cost ? · Sessions are free ! The cost of the sessions is met by the Welsh Assembly Government. If you would like your child(ren) to attend the breakfast club please contact the school secretary for a registration form. The breakfast club staff were thrilled to recieve letters of thanks from two of the children. You have been making my breakfast for four years now it's my turn to repay you with this letter I am writing. This letter is about all of the mornings I've had with you and all those mornings were so much fun I remember coming here on my first day and I did not know anything about breakfast club but now I know it off by heart. I know all of the staff Miss Maggie, Miss Vicci, Mrs Stanton you are the three people who made all my mornings full of joy Ysgol Y Faenol is the best school full of fascinating wonderful teachers and kids. I am writing to you to tell you how much better you have made my mornings and breakfast. You have provided all I need to be healthy and active in the morning and you put alot of work into this one club. You have gave me my breakfast for a few months and it has filled me with joy, happiness and healthyness. You have improved Ysgol Y Faenol for every second of the day and because of you I will be educated well enough to fulfill my dream to get a job to payback the school for what it has done for me. Thanks boys these letters are fantastic!